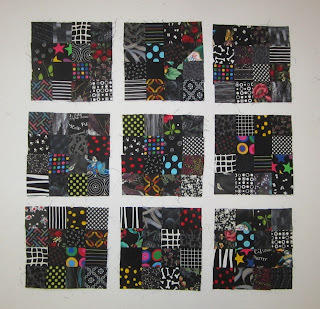 Cathy Tomm Quilts: Scrappy Sunday? The internet was out of wack yesterday so, This should be a Scrappy Saturday but is late. 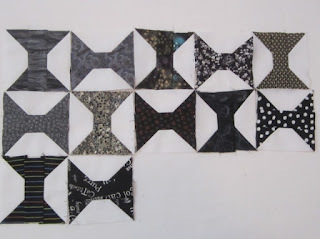 I finished up my black scraps. 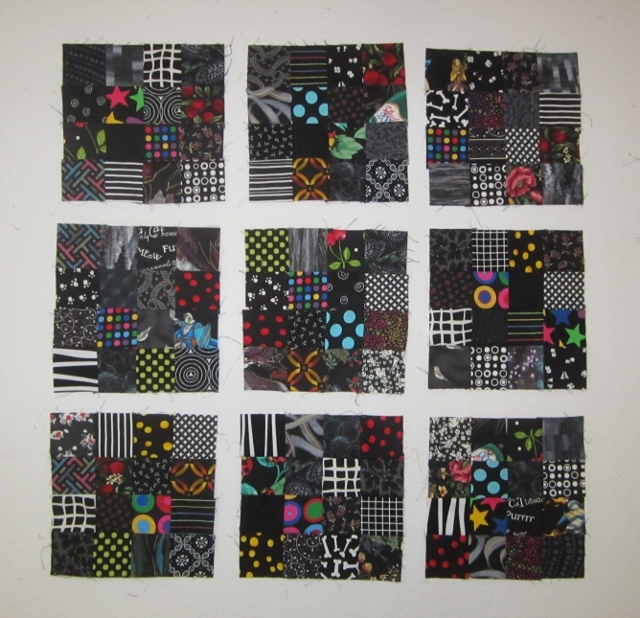 I got nine of these 6 " 16 patch blocks done. They have a fear bit of colour in them. I have add this post to Soscrappy link party. there are more black and grey scraps to see. More spools I did from Bonnie Hunter's Leader's and Ender's Challenge. 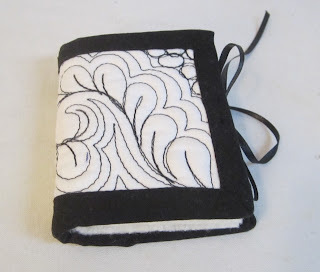 I make this little needle book with a quilted scrap of white. I might give it to someone for at Christmas time. 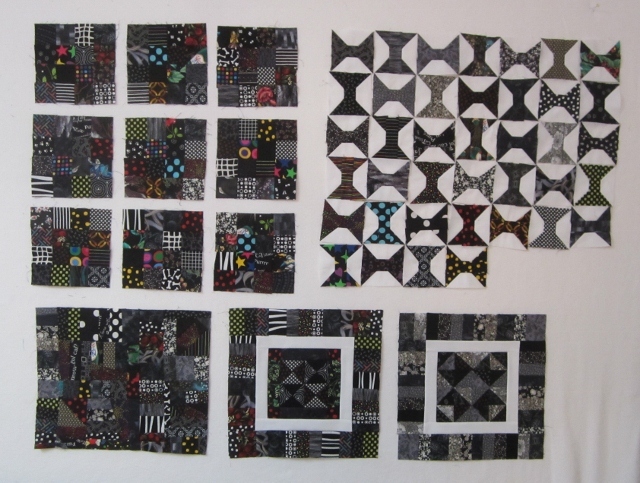 All of my black scraps up on the design wall at one time. Not bad for the month. Next month we are to finish up some of our rainbow quilts. 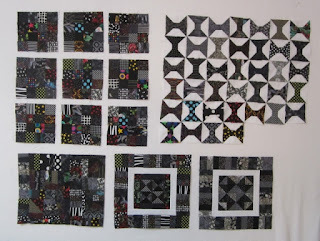 I have also started Easy Street, Bonnie Hunter;s new mystery quilt. She promises to make this one easier than the late two mystery's. My aunt Arley at My favourite Things has started with some different colours. I love the colours and will stick to the ones Bonnie has chosen. Monday is a linky party at Bonnie's site. I have to go sew today. The recipient of that needle book will be very happy! What a gorgeous gift. I love your colorful black fabrics. They add interest! Love those little spools, too!